Cape Town - South African Airways (SAA) welcomed the announcement by Minister of Finance Malusi Gigaba of a capital injection for the airline in his maiden Medium-term Budget Policy Statement delivered on Wednesday. 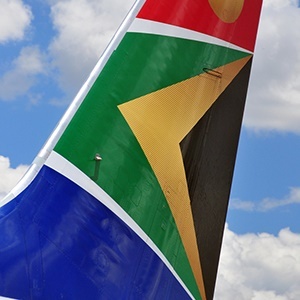 "The injection will go a long way to stabilise the airline financially and will help restore the confidence of all stakeholders in the operational sustainability of the company," SAA said in a statement. Tertius Troost, tax consultant at Mazars, said Treasury’s plans to rescue SAA could be problematic. “The minister makes mention of selling around R4.95bn Telkom shares to fund SAA, which we do not believe to be prudent. Treasury would in effect be getting rid of a good asset to finance a bad one,” said Troost. SAA had asked Treasury (its shareholder) for recapitalisation of R13.1bn over three years. "The announcement (in the mini budget) means that a total amount of R10bn has been allocated to SAA in the current financial year. For the period ending 31 September, the airline received R5.2bn," the national carrier said. Of this, R2.2bn was used to settle a maturing loan with Standard Chartered in July 2017 and another R700m was paid to Citibank in September this year as part of an agreed payment plan and R1.2bn was used towards working capital requirements. The funds remaining out of the R5.2bn are ring-fenced to enable SAA to meet its payment plan with Citibank and to cover working capital requirements and/or partially settle the domestic lenders. Out of the remaining R4.8bn, 60% will be used to partially pay the local lenders and the remainder of the funds will be used as working capital. Bianca Botes of Peregrine Treasury Solutions, said state-owned enterprises (SOEs) continue to be a burden on the state coffers with more and more funds being redirected into SAA. "In addition foreign lenders are no longer willing to roll over any of the debt incurred by SOEs, even if it is backed by government, which is quite worrisome. 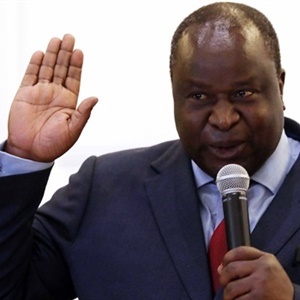 This speaks to the amount of distrust they have regarding the SA government’s ability to perform on those guarantees," said Botes. "Gigaba has secured additional lending which will cause some problems for our debt to GPD ratio: if we don’t have enough money to fund the economy as it is, why would we be able to keep repaying these loans? This, especially in an environment where we are faced with inflation pressures and rising interest rates across the word." Gigaba needs to sell government-owned assets such as its stake in Telkom or his budget will breach the expenditure ceiling by R3.9bn. The breach will be as a direct result of Gigaba’s decision to bail out SAA with a R10bn appropriation, as well as a R3.7bn recapitalisation of the SA Post Office. She regards the fact that government will sell off Telkom shares with the option to buy them back in the future as positive, but adds that one needs to see much more privatisation taking place within the SOEs to make them profitable, sustainable and accountable to stakeholders going forward. SAA said it is aware and sensitive to the reality that the allocation comes at a time when government faces a number of demands competing for resource allocation. Therefore, the airline wants to urgently work to bring more shareholder value and become financially sustainable in the shortest time possible. "Both the lenders and the shareholder have imposed strict conditions, increased oversight and demand more accountability from the airline," said SAA. Conditions imposed include revalidation of the turnaround plan and implementation thereof within specific time frames. Certain key executive positions also need to be filled and will be advertised. "SAA has made significant headway in meeting the requirements set out by the shareholder and its lenders. The company has no intention to falter on the remainder of the conditions," emphasised the carrier. Dr Joachim Vermooten, an aviation economist and researcher at the University of Johannesburg, told Fin24 that Gigaba's R10bn recapitalisation for SAA during the current fiscal year relates to repayments to banks, which lent money to SAA under government guarantees for R5.78bn. That leaves R4.22bn, which can be used by SAA to fund current losses for the year ending 31 March 2018. "The continued losses of SAA, supported by state funding distorts competition within the domestic air and the African regional air transport markets in order to maintain SAA's dominance," said Vermooten. "The motivation for incurring these levels of ongoing losses is, however, not presented to Parliament." He sets out government payments to banks in terms of guarantees for SAA for the 2018 fiscal year as follows: R2.2bn to Standard Charted Bank; R700m to Citibank, and R2.88bn to other banks, therefore, totaling R5.78bn.